When your foundation’s running, your mascara’s smearing, and your makeup looks as if you just left a hot yoga class, don’t sweat it. You can’t do much about your body’s tendency to perspire during the warmer months, but you can take steps to make sure your makeup withstands moisture. To help you battle your summer beauty woes, we’ve rounded up the top meltproof makeup tips to keep your beauty look set (despite the sweat) all summer long. Steer clear of makeup meltdowns by following these simple steps that guarantee foundation continues to cover up, pigment stays put, and mascara doesn’t flow down your face. So as the temperatures turn up, keep your cool with these easy sweatproof makeup tricks. Keep reading to find out how to meltproof your makeup, and shop our favorite sweatproof makeup picks! Less is more. In the fight against makeup meltdown, this applies to everything you put on your face—starting with skincare. 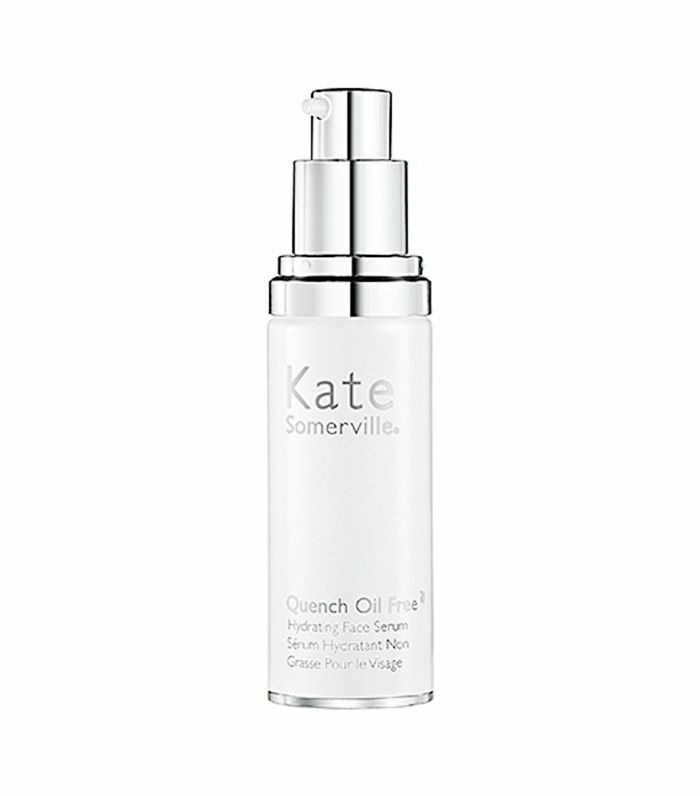 Heavy moisturizers aren’t going to help, so use a hydrating serum like Kate Somerville Quench Oil Free Hydrating Face Serum ($75) if your skin can get away with it. Pick tinted moisturizer over foundation—the sheerer the coverage, the less there is to sweat off. Matte formulas, like Jouer Matte Moisture Tint ($38) tend to pack a bit more staying power. If you keep everything else light, you can go with full-coverage concealer (only where you need it). Apply it with a brush for maximum staying power. The oils on your fingers only dilute coverage. A good primer is a must. Wearing primer extends the life of any product you apply afterward. Choose a mattifying option for extra shine control. 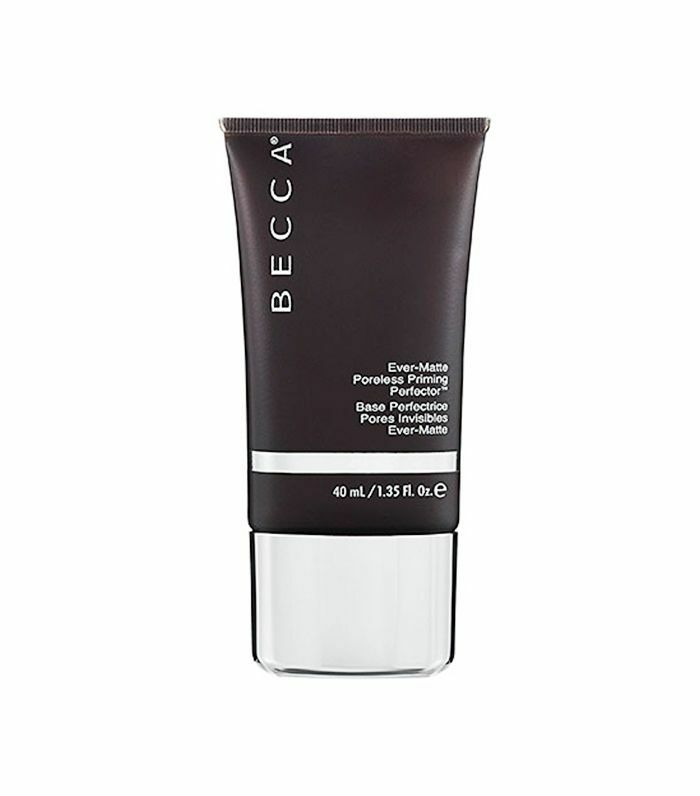 Becca Ever-Matte Poreless Priming Perfector ($36) promises to withstand humidity and sweat. Just be sure to give adequate time between your primer and your next makeup steps—applying primer to a face still damp with moisturizer negates all of its benefits. Don’t forget to prime your eyelids as well, even if you’re not planning on wearing eye shadow. Eye shadow base will help ensure your liner stays put and mascara stays off of your lids. Try a waterproof version, like Lancôme Aquatique Waterproof Eyecolour Base ($26). It may sound counterintuitive, but put down the powders. Powder formulas sit on top of your skin, meaning there is ample opportunity for them to slide down your face at the first sign of moisture. Choose cream or gel bronzers and cream blush or cheek stains. 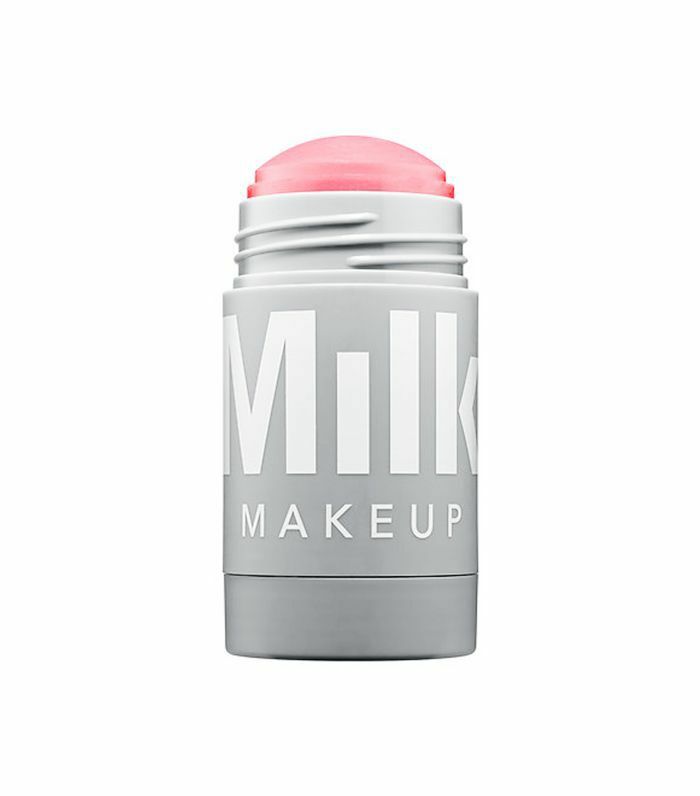 A lip-and-cheek multiple like Nars Matte Multiple in Vientiane ($39) or Milk Makeup Lip + Cheek ($24) provides long-lasting color. The pigments range from sheer and natural to playful and bold, and they are easy to blend. The obvious solution to melting eye makeup is waterproof mascara. If you hate the feeling of dry, brittle lashes that often accompanies waterproof formulas though, layer your lash products instead. 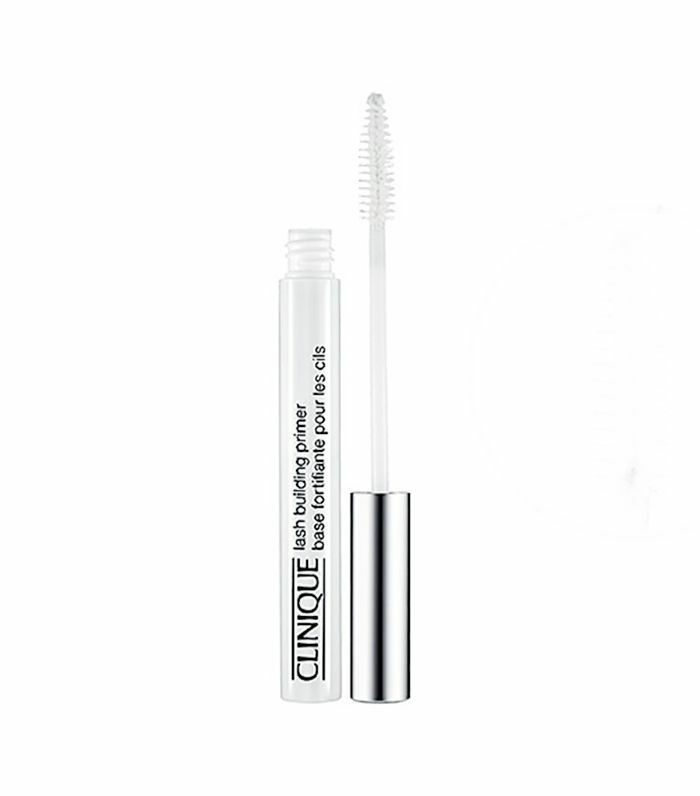 Start with a lash-conditioning primer, like Clinique Lash Building Primer ($15), apply a coat of your go-to mascara, and finish with a swipe of waterproof mascara or Cargo Swimmables Waterproof Mascara Top Coat. Keep eyeliner close to your lash line (cat eyes and hot days don’t mix), and choose a waterproof pencil or gel formula over a liquid liner. Eye makeup is the one exception to the no-powder rule. A light dusting of translucent powder around your lash line will help seal your eyeliner. You can take all the proper precautions, wear all the right products, and try your hardest to stay cool, but a little sweat is usually inevitable. When you start to feel slippage, don’t panic. You can always reblend blotchy blush and bronzer, and traveling eyeliner is just an excuse to embrace a smudged-out look. 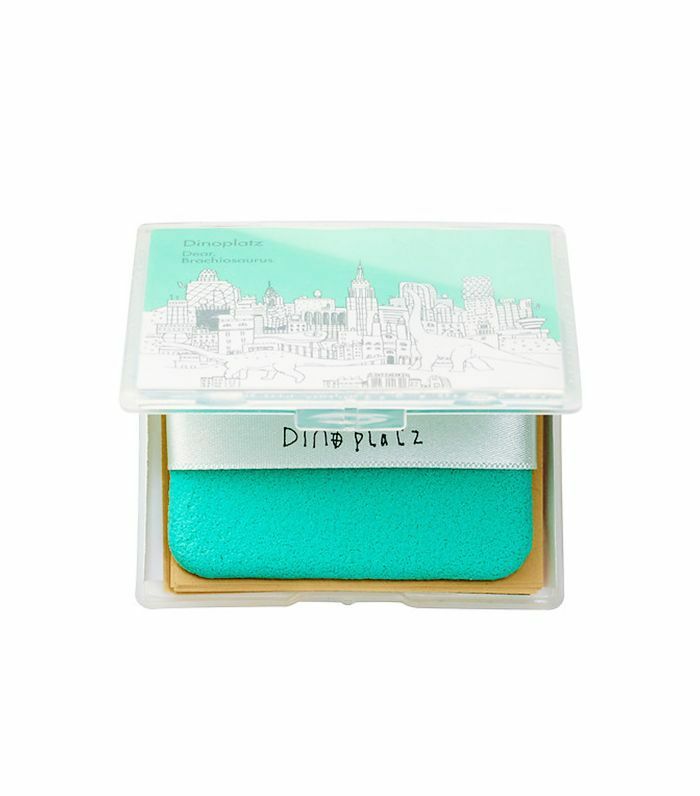 Pack blotting papers like Too Cool for School Dinoplatz Dear Brachiosaurus Blotting Paper ($8) and Q-tips when you’ve got a crazy day ahead of you, and be prepared to accept a little bit of dew. What do you do when you can’t prevent the sweat? Share your tips in the comments! This story was originally published on August 14, 2014, and has since been updated.